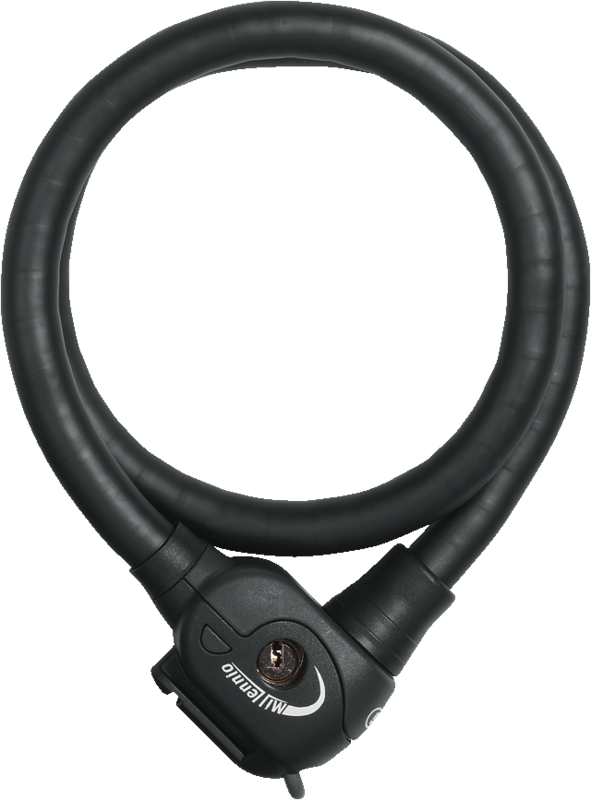 Hardened steel, high flexibility: The Steel-O-Flex™ Millennioflex 896 Cable Lock from ABUS secures your bike – and perplexes thieves. With the Steel-O-Flex™ Millennioflex 896, you gain more security – and more flexibility in terms of scope for locking your bike. 17 mm thick, overlapping steel shells encase the inner steel cable providing you with double protection against theft. But the Steel-O-Flex™ Millennioflex 896 offers more: The key components are made of specially hardened steel and make it incredibly difficult for thieves to steel your bike. And if you connect two Steel-O-Flex™ Millennioflex 896 Cable Locks from a twin set together, you can secure several bikes at once with a total usable length of 170 cm.